First let me start by saying that I know that some, if not most crop circles are made by humans, but there remain some formations that have some unexplainable facts, and one question is how can a big crop circle be made over nite with just a couple guys with a rope and a plank? Crop circles are usually not round, but slightly elliptical. In a real crop circle the plant's shafts/stalks (mostly wheat, but also grass, barley, canola, buckwheat, linseed, rice paddies, corn, sunflowers, blueberry bushes, trees, etc.) are bent around an inch above soil (corn stalks are bent a couple of inches above the soil) and the plants are laid in precise geometric swirl patterns with little signs of physical damage. There may be light burn marks at the base of stems, altered cellular structure and soil chemistry, increased magnetic particle deposits, discrepancies in background radiation, alteration of the local electromagnetic field, depletion of the local watershed, along with long-lasting energy patterns. Some analyzed crop circles have shown higher radiation levels. Crop circles range in size from a few inches to hundreds of feet across and have been as large as 200,000 sq. ft. In real crop circle formations the stems are not broken but bent at 90° angles about an inch off the ground, at the plant's first node. The plants are subjected to a short and intense burst of heat or energy that softens the stems or stalks allowing them to be folded over onto the ground at a 90° angle. When the stems or stalks reharden into their new position, the plants and crop are not damaged and continue to grow. 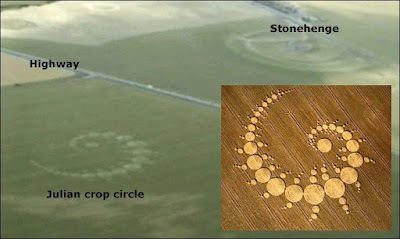 This is the method used to identify a real crop circle formation (agriglyph). The canola oil plant has a structure like celery. If the stalk is bent more than about 45°, the stalk will break. When crop circles are found in canola fields, the stalks are bent 90°. Research and laboratory tests suggest that microwave or ultrasound may be the only method capable of producing this effect, but plant biologists are still baffled by this phenomenon. 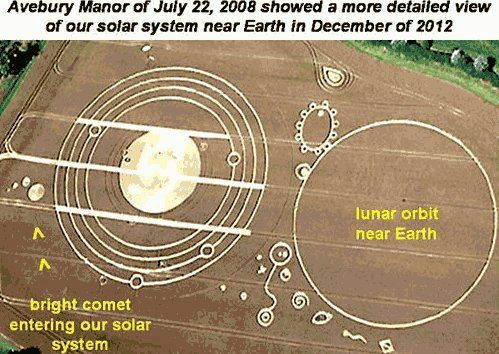 Crop circles are not a modern phenomenon and may have been occurring for hundreds to thousands of years or longer. They exist in the centuries-old folklore of South Africa and China, and are in Native American Indian legends. The first written account of a crop circle is from August 8, 1590 and is found in "The Natural History of Stafford-Shire", published in 1686. There are also other references from England's 15th century that suggest crop circle formations. In John Aubrey's "Natural History", a 1633 school teacher seen green circles made by the spirits in the grass. Another early historical record of a crop circle from 1678, is the "Mowing Devil" case, where a farmer's field was believed to have been visited by a devilish entity that trampled the crops down in a circle. There is a wood engraving of this event. In 1686, a book entitled "A Natural History of Staffordshire", made reference to rings, circles and other shapes found in grassy fields. The scientific journal, Nature, decided to include in one of its issues a reference and a picture of the June 17, 1996 DNA double helix field of barley crop formation, with spiraling spheres of different sizes, found in Alton Barnes, England, which was 648 feet long. When a man-made crop circle is found, the grain stalks are broken, the formations are usually jagged and the formations do not have any symmetry. Because of the disinformation spread by the media, most people think that all crop circles have been produced by pranksters with a plank, a garden roller, ladders, ropes and measuring tools. The disinformation and non-media coverage of crop circle formations actually protects the farmers and their harvest from damage caused by researchers and the curious from trampling their crop circle grains, harvest and lands. Circle makers - can they make huge designs overnite? the past 25 years, more than 10,000 crop circle formations have been found in more than 29 countries: England, United States, Canada, Germany, Australia, The Netherlands, Hungary, Japan, Wales, France, Scotland, Switzerland, Czech Republic, Austria, Italy, New Zealand, Russia, Finland, Israel, Poland, Brazil, Mexico, India, Sweden, Ireland, Yugoslavia, China, Argentina, Croatia, Denmark, Peru, Romania, Siberia, Slovakia, Spain, Turkey, Afghanistan, Bulgaria, Chile, Egypt, Isle-of-Man, Lithuania, Luxembourg, Malaysia, Nigeria, Norway, Sardinia, Tasmania, Ukraine, Uruguay, etc. Most of the elaborate crop circles found, are found around England's ancient and sacred site areas (Stonehenge, the earth mound of Silbury Hill, Avebury, Cheesefoot Head, etc.). 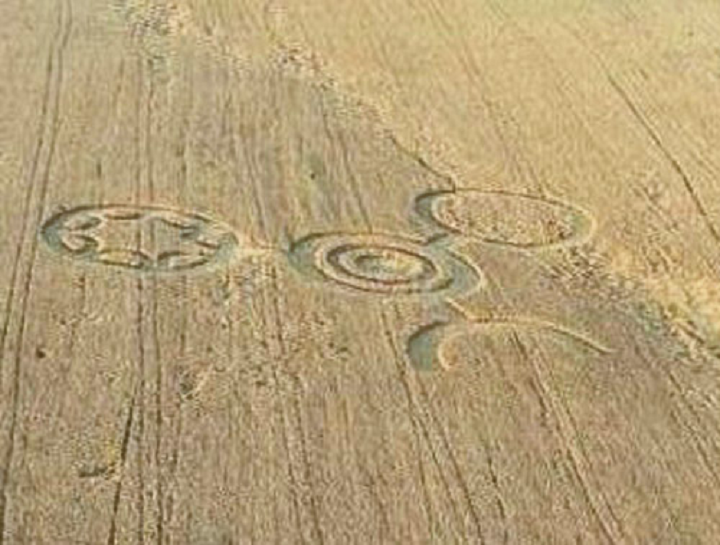 Southern England is where around 90% of the elaborate crop circle formations and designs are found. A majority of the world's crop circles are within a 40 mile radius of Stonehenge. The dimensions of most of the early single crop circles would fit inside the inner horseshoe at Stonehenge. Most crop circles with single and double rings would fit within the inner and outer edges of the first ring of stones at Stonehenge. 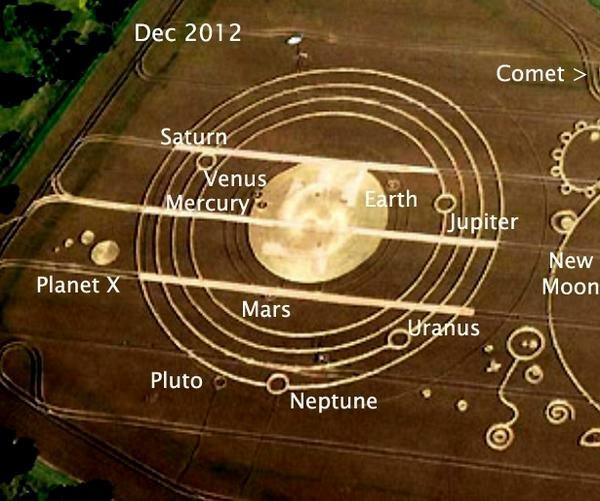 Crop circle formations are no longer just circles, they now come in different shapes, designs and pictograms. All real crop circle formations have bent unbroken crop stems and interwoven stalks. The most common crop circle is the single circle, but they also come in sets of two (doublets), three (triplets) or four (quadruplets) and may be surrounded by an outer ring or more circles. The stalks in a crop circle are bent into a swirl pattern, and the swirl patterns spin clockwise or counterclockwise or may contain two or more layers spinning in different directions. When there is more than one circle, one circle may spin clockwise and the other may spin counterclockwise. When looking at a crop circle from the air, it may appear to spin clockwise, but when looking at it on the ground the stalks will spin counterclockwise.In the 1980's and 1990's, the circles became more elaborate, producing crop design patterns called pictograms. In the 1990s, crop circles formations became complex patterns using intricate geometric designs and developed exponentially in complexity. Some of the more sophisticated patterns are based on mathematical equations. 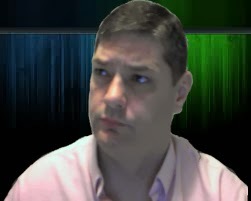 Crop Circle Researcher Colin Andrews author of the book: "CROP CIRCLES - Signs of Contact" and co-author of the book: "Circular Evidence", has been researching crop circles for than 20 years and has compiled the largest database on crop circles. Colin has catalogued hundreds of authentic and man-made crop circles in his crop research career. The late philanthropist Laurence Rockefeller began funding Colin Andrews' research into fake crop circles, back in 1999. Biophysical evidence shows the plant's nodes and stems are drastically extended, seed embryos are altered, and their is the existence of expulsion cavities, as if they have been heated from the inside. There is also a reorganization of the plant’s crystalline structure. 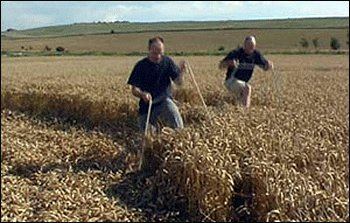 A malt fragrance can also be smelled after cutting open a stem from a freshly made crop circle, which means that the plant has been cooked from the inside, but the crop remains unharmed. Exhaustive lab analysis into hundreds of 1991-1995 crop circles shows physical and biophysical changes to the plants inside a crop circle. There are also alterations in the germination, development of seed embryos, and alterations in the plant's stem node length and circumference (up to 200% increase in one case). The grains from crop circle plants can grow 40%-50% larger have a stronger and larger root system with larger grains, than the grains from the crop surrounding the crop circle. Alternatively, some crop circle plants produce seeds that are smaller than normal plants. The reason for the differences in the plants may be water supply available when the formation was made, the age of the plant when the event occurs or the type of plant. The internal structure of the plants is altered at the cellular level. The cell pit walls of the plants are fractured and expanded. In grain crops, there are nodes close to the ground that help the plant grow vertically. Crop circle plants have expanded, elongated or "blown nodes" nodes. The plants with the largest node expansion are found in the center of a crop circle. Researchers have found distinct changes in crop circle soil temperature, composition, and crystalline structure in the soil and within the crops inside the formations. It has been scientifically documented that soil samples taken from within crop circles, show changes to the soil's crystalline structure and mineral composition and the soil appears to have been baked. Analysis concluded that a heat of 1,500°C would be required to create such a change. 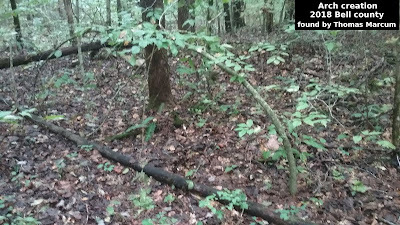 Four non-naturally occurring, short-life radioactive isotopes (vanadium, europium, tellurium and ytterbium), that dissipate in 3-4 hours, have also been found in the soil. Soil tests have also shown that alpha emissions are around 200% above normal, beta emissions are around 50% above normal and the soil is 2 to 3 times as radioactive as the soil outside the crop circle. Large quantities of surface and subsurface water (up to millions of gallons water) in and around a crop circle disappear. Aerial photography, using infrared film, shows the groundwater under a crop circle is depleted for several days to a week or more before the water table returns to normal. The soil within a crop circle formation is generally dry, cracked and dehydrated, even after heavy rain. The Earth's magnetic field (energy grid) is a multi-poled magnet and the magnetic fields connecting each pole run along what is called ley lines. The north and south poles are the strongest poles of our multi-poled planet. There are also secondary poles located all over our planet. The area around Stonehenge is one of these secondary pole locations. Like all of our planets ancient sacred sites, crop circles mostly appear at the intersecting points of the Earth’s magnetic pathways of energy (ley lines). The size and shape of a crop circle formation depends on the proximity to the ley lines, magnetic node points and the water available at that site. Measurements of the earth's magnetic field inside crop circles, have been recorded with increases up to 120%. Crop circles alter the surrounding electromagnetic field. Electromagnetic measurements (EM) have registered 40 to 50 nano Teslas in the middle of some crop circles (10 times the normal radiation level). Compasses spin erratically and can’t locate north, battery powered devices like watches, cameras and cellular phones malfunction, brand new batteries are drained in minutes, car batteries have been drained, overhead helicopter and aircraft equipment are affected, radio frequencies are different inside the crop formation, farm animals and birds are agitated and stay away from the crop formation, and with really large crop circle formations, entire towns have lost power. The electromagnetic energy inside a crop circle can also interact with human and animal brainwave patterns. Because the human and animal body is electromagnetic in nature, being inside or near a crop circle has been known to affect people’s biophysical rhythms. Women will also experience menstruation cycles early. Some people experience heightened states of awareness and healings in crop circles commonly associated with sacred sites and holy places. Other people complain about of headaches and unusual pleasant or unpleasant physical or mental symptoms. People also experience dizziness, disorientation and nausea. Prolonged exposure to infra-sound or microwaves (which interact with the water in the body) produce the same symptoms. 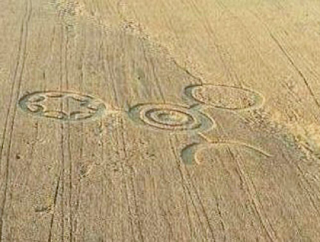 More than 80 people have witnessed and reported seeing crop circles forming in 15-20 seconds. They all describe seeing incandescent or brightly colored balls of light (orbs) before and after the crop circle is formed, proving that the orbs of light are involved in crop circle formations. In some reports, people have seen shafts of light in a field where the crop is swirled into a geometric shape. When farmers find new crop circle formations, they usually see steam rising into the air from within the design. It is easy to dismiss all crop circles as man made and it is my guess that most circles are man made but there remain some crop circles that appear to be different and as of yet can not be explained. We should keep an open mind about crop circles, maybe some day we will be able to explain what is really making these circles...be it man, something in nature, natural phenomena, Aliens, Angels or something as of yet to be discovered. So let just keep on researching this until we find the final answer. Please note that some of this data may be slightly outdated.